THE national dish of Singapore. Probably. Capital “the”. Just in case you thought I was being liberal with the shift key. “Chicken rice, really! ?” I hear you scoff and mumble around your KFC. Listen up. It’s good. Better than finger lickin’. Trust me. 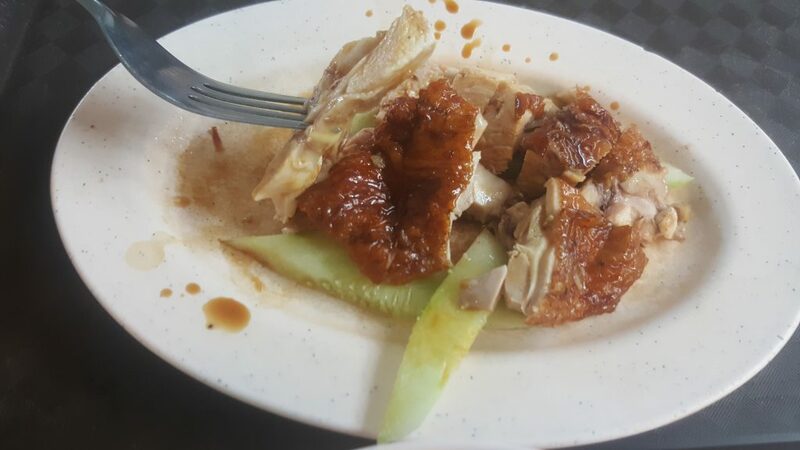 You can get chicken rice everywhere. I went to a hawker centre that was near me. No reason other than location. Everyone has their favourite; don’t bother me. 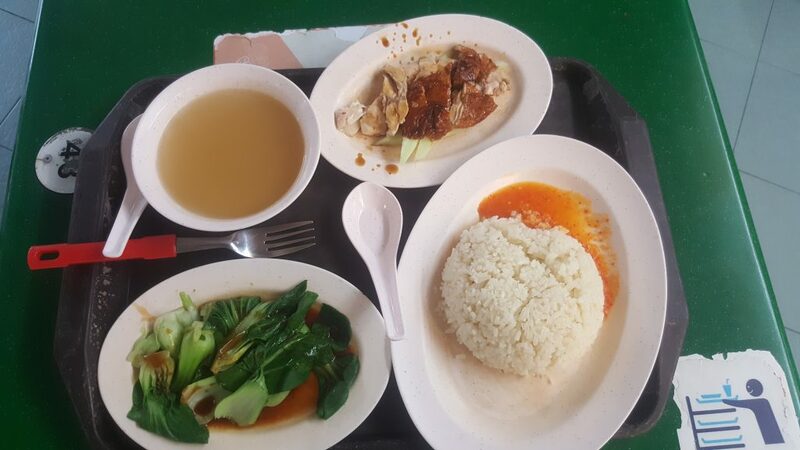 So I went to Zion Food Centre and was drawn towards Boon Tiong Kee Hainanese Chicken Rice and their $4 Chicken Rice Set Meal. A steal. I didn’t steal it. I paid for it. I went for roasted chicken because I like that more than steamed. With the set you get a small bowl of broth, a side of green veggies, and a dome of rice. Keep an eye out for the vat of spicy chili sauce to add to your dish. Highly recommended addition. I was very happy with all of this for just $4. That’s the thing about Singapore; you can eat cheap if you want to. And it will be delicious. Hopefully. This was. The broth was of undetermined origin. 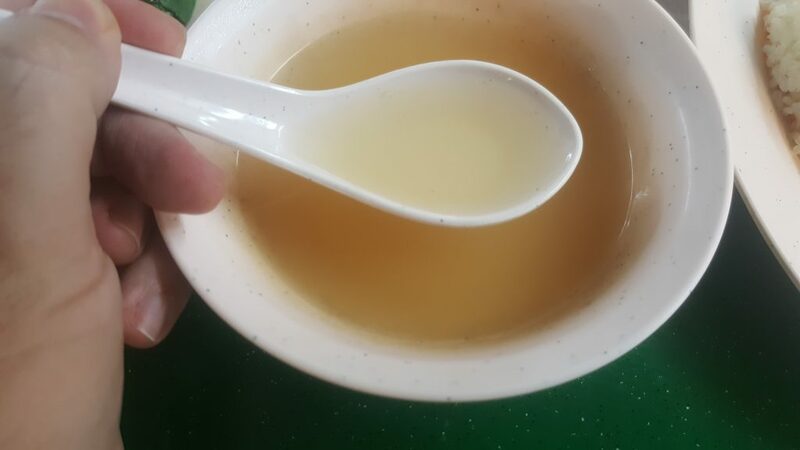 I would guess chicken bone broth or something. It had a volume to it; it wasn’t just chicken flavoured water. It was more chicken than water. More machine than man. 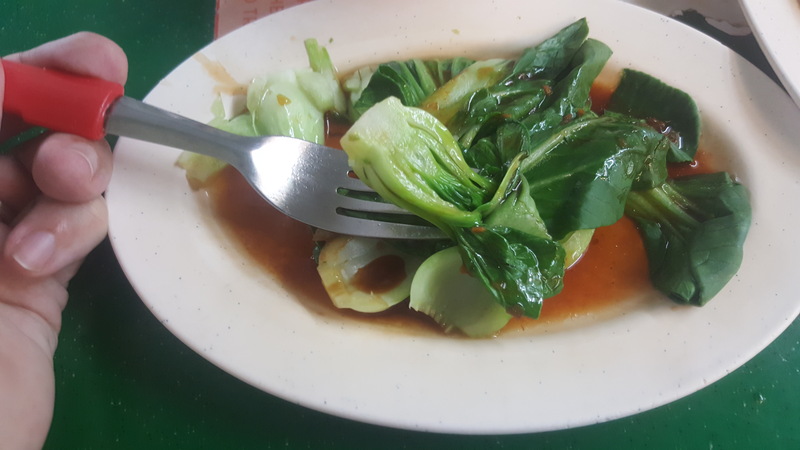 The veggies were nice. Probably the least flavourful in the set but a nice counterbalance to the chicken flavoured everything else. The roasted chicken itself was nice. Nothing spectacular but nice. $4 nice. Resting on a sleeping bag of cucumber slices. 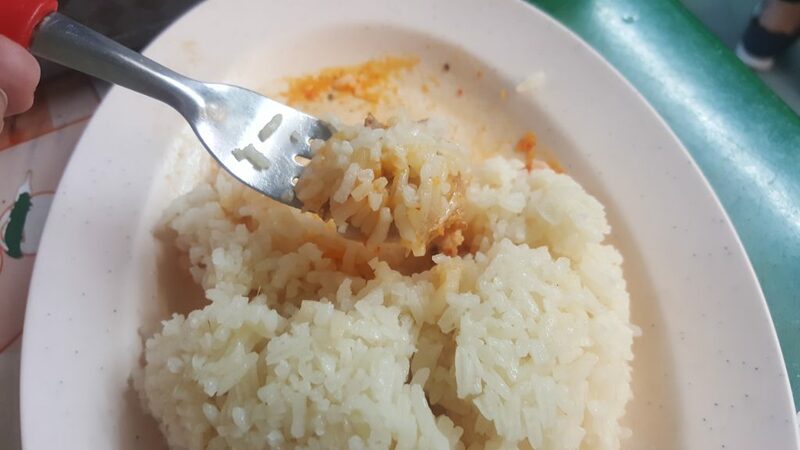 The rice was tasty. 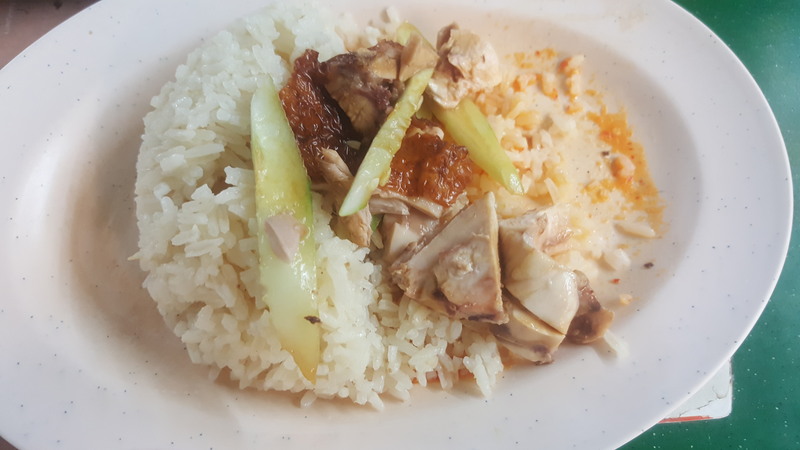 With chicken rice dishes the rice is usually infused with garlic and chicken stock so it really elevates the usual rice flavour to something is more entertaining to the palate. Your palate. Adding a little chili sauce (which is usually quite thin) adds a little bit more pop to each bite and leaves a nice mouth buzz. Mix it all together in one and you get some nice mouthfuls of different textures and tastes throughout. 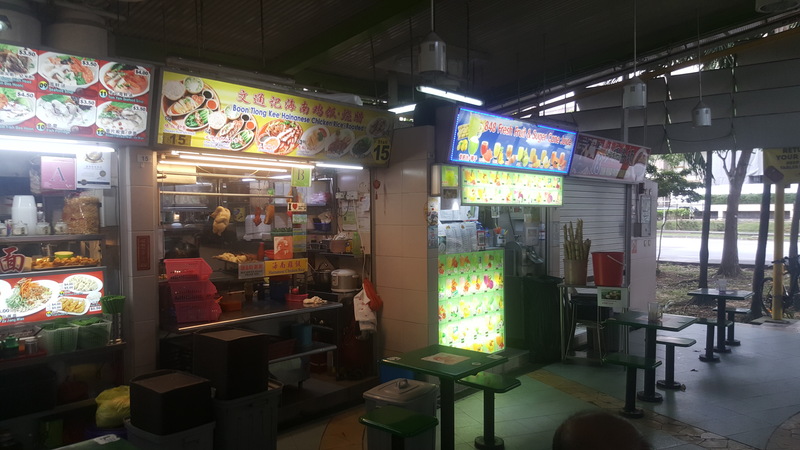 I can’t stress enough how much good value can be found in Singapore’s hawker centres. I’m cramming in as much as I can before I shuffle off.